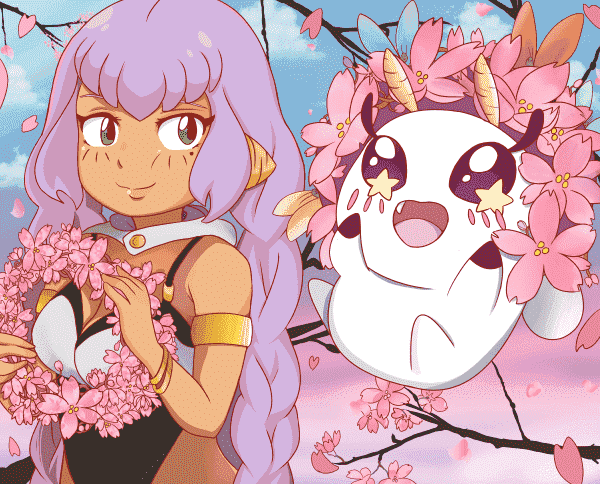 Given the wide array of characters we are presented in the world of anime, it is of no surprise that some characters are just that little bit more volatile, more destructive, more vindictive and in some cases, unknowingly almighty. With the safety of the world in mind, we at Honeys Anime have decided to put together a list of some of the most hazardous arbiters of chaos, death and destruction, in more ways than one. This could be taken as a wanted poster: you could choose the safe route and stay away. Or you could be more adventurous and earn more badges as an anime fan by taking them head on. The choice is yours, now before they catch wind of this and kill us all, Top 10 Most Dangerous Anime Girls! 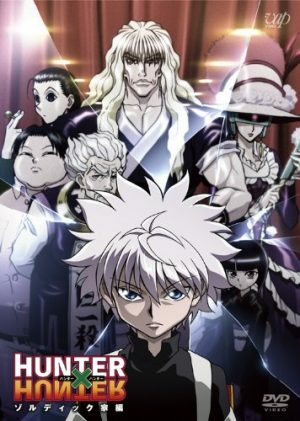 Hunter x Hunter follows the adventure of Gon Freecss, a 12-year-old boy from the Whale Island and son of legendary Hunter, Ging Freecss. Gon seeks to find his father, who has been absent from his life for its entirety, as well as to match his father’s incredible achievement of becoming a Hunter at just 12 years of age. In order to do this, Gon needs to pass the Hunter Exam, a feat which would allow him to claim a Hunter License, granting him a vast array of opportunities all over the world. Meeting his friends, Killua, Kurapika and Leorio in the process, Gon’s quest leads him into a life filled with adventure and hardship. Will Gon ever pass the Hunter Exam and find his father? Palm is a highly unstable woman with the power of clairvoyance through a crystal ball, a power she uses to stalk the love of her life and master, Knov. Given her unstable nature and his constant, yet subtle rejection of her advances, Palm is often angry, impatient and sometimes even violent towards the people around her. Her psycho-stalker girlfriend personality, coupled together with her erratic nature cause the people around her to be very wary of her – with good reason. Palm is crazy. She harboured a short crush on Gon Freecss and on one occasion, Palm chased Gon and Killua, armed with large kitchen knives in both hands and in her hair. Her power allows her to be a Class A stalker and when put together with her strength, skill with knives and highly volatile temper, Palm is a dangerous, dangerous woman. When Okajima Rokuro, a Japanese salaryman, is sent on a job to deliver a certain data disc to a client, he thinks it is a routine task and nothing worth noting. However, having this trade occur in the South-Asian Pacific, it became a target of pirates from the Lagoon Company, called Black Lagoon. 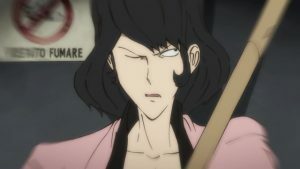 Having caught wind of the attack, Rokuro’s employers choose to abandon him, sending mercenaries to kill him and destroy the data disc, erasing any evidence of the trade ever taking place. 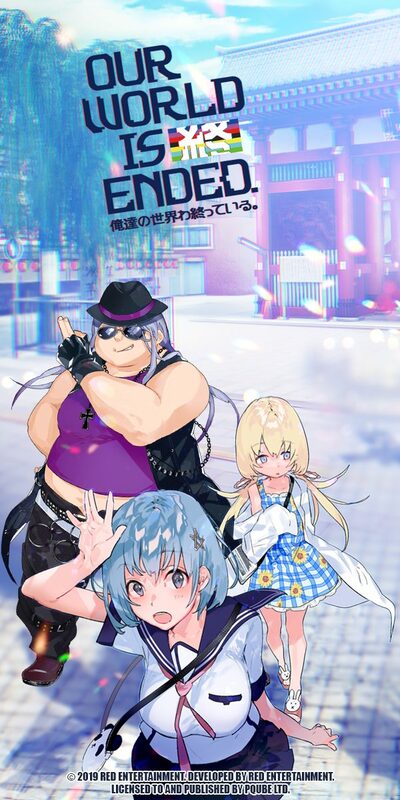 At this point, the Lagoon Company, who had held Rokuro hostage, become his protectors as they successfully hold off the mercenaries, who told Rokuro that his employers had already declared him dead. Attracted by the prospect of experiencing the same level of exhilaration he felt during the attack, Rokuro joins Black Lagoon and begins life in the crime-riddled Thai city of Roanapur. 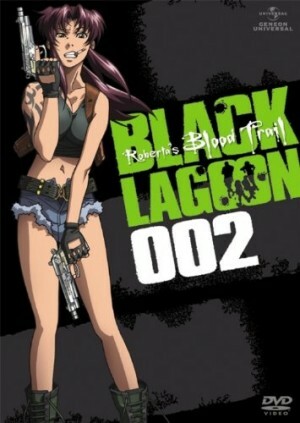 Naturally, most of the members of Black Lagoon are fairly capable in combat. That; however, is a gross understatement for the hot-headed sharpshooter, Revy. Nicknamed “Two Hands” for her adept dual-wielding ability, Revy is the main female protagonist and the guns of the Lagoon Company. 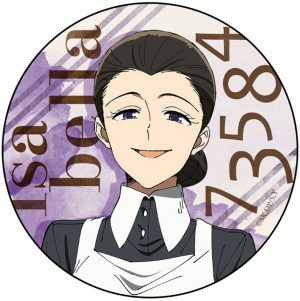 Her sadistic, trigger-happy personality and prowess with a gun make her one of the deadliest characters in the show and from time to time, she suffers bouts of “Whitman Fever”, where she kills literally anything in sight. Revy shows no remorse for killing any of her enemies and even gets excited at the prospect of battle. Revy is physically strong, athletic and she even dodges bullets. Revy is quite literally a danger to anyone and everyone. Careful around her, she could turn you into Swiss cheese if you so much as look at her funny. When off-duty military officer Itami Youji set out to attend a doujin convention in Ginza, Tokyo, he never could have expected what he’d find on his way there. A mysterious gate opened up in Ginza and forth come various creatures and warriors from another realm, causing chaos and destruction everywhere. Having kept a cool head throughout the entire incident, Itami saved many lives and with the help of the rest of the military, controlled the situation. 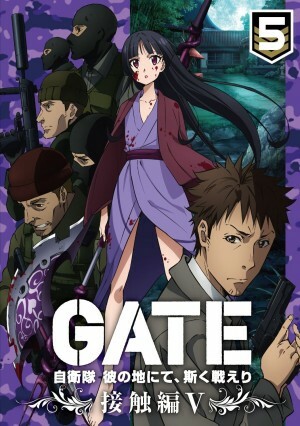 Three months after the Ginza incident, Itami is tasked with leadership of small group sent in to explore the other side of the gate, a space they have dubbed “The Special Region”. The Special Region turned out to be straight out of a fantasy RPG, with magic, elves, dragons and other entities. One such entity is the demigoddess and apostle of Emroy, Rory Mercury. Known across the Special Region as Rory the Reaper, Rory has built herself a quite reputation, as she is widely known for mercilessly slaughtering her enemies with her extremely large halberd. Rory is an expert in battle and can cut down large numbers of foes with ease. 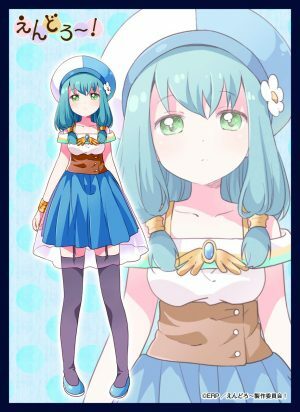 In addition to her abilities in combat, Rory is also immortal, allowing her to terrorise her enemies in several eras, a fact which may feed into her sadistic nature. Long story short, priestess or not, Goth-Lolis who walk around with weapons the size people are dangerous. Rory is dangerous, stay away. Needing no introduction, the Dragon Ball story continues with Son Goku, all-grown up, with his son, Gohan. The Dragon Ball Z story begins by delving into Goku’s past, when his older brother Raditz, a Saiyan warrior from Planet Vegeta, locates Goku and tells him all about his alien heritage. Having been raised as a mild-mannered and good-natured little boy, Goku highly resents his brother for bringing him to the realisation that he was meant to be a cold-hearted planet conqueror. Goku now has to fight Raditz to save the world and his son, Gohan, who was kidnapped by Raditz earlier in order to serve as a bargaining chip in negotiations with Goku. This, of course, is the start to the wildly successful Dragon Ball Z. In a later battle to save the world, the main antagonists are androids created by the Red Ribbon Army, Goku’s enemies from a much earlier time. In a separate timeline, Goku dies and the androids 17 & 18 wreak havoc on the world, murdering every Z-Fighter except for Gohan and Trunks. Android 18 is a very powerful and highly sadistic killing machine whose fighting capabilities eclipse even those of a Super Saiyan. Her sheer power is intense, the almost complete destruction of the world in the Future Trunks Timeline being testament of Android 18’s strength. Given the fact that she was able to defeat Vegeta in his Super Saiyan form, at that point in time, Android 18 was easily one of the strongest Dragon Ball Z characters. 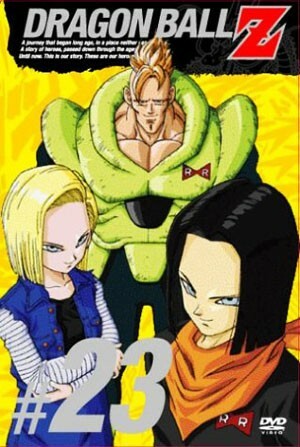 Android 18: capable of completely ruining your future. 6. Akame from Akame ga KILL! Tatsumi and his friends, Sayo and Ieyasu left their village for the capital in order to find work in the empire’s military so they could send money back home. 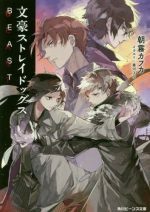 Unfortunately, they were separated, and a series of events caused Tatsumi to realise the extent of the corruption, decay, poverty and despair which remains prominent in the empire, prompting him to join the Revolutionary Army and Night Raid, a group of assassins whose cause is to overthrow the empire and create a better future for the empire’s citizens. As one would expect, a member of Night Raid would not be so without appropriate abilities. 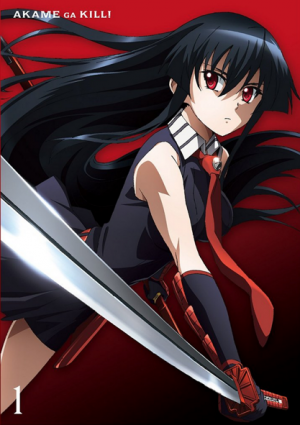 Introducing the titular character, Akame, who wields the Teigu Murasame, a katana with a cursed blade which enables Akame to kill her enemies with just one slash. Not only is her weapon an absolute hazard, but due to her past as a home-grown assassin for the military, Akame has keen senses and incredible speed and strength. 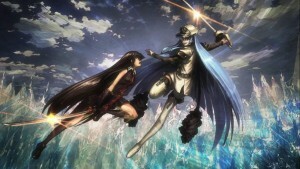 Akame also displays rock-solid resolve in combat, not stopping until she has eliminated her target. When an assassin is almost guaranteed to be able to kill with just one slash, it isn’t surprising that they’re considered one of the most dangerous. Current day Tokyo. Humanity’s natural predator has emerged and can seamlessly integrate into human society: the Ghoul. 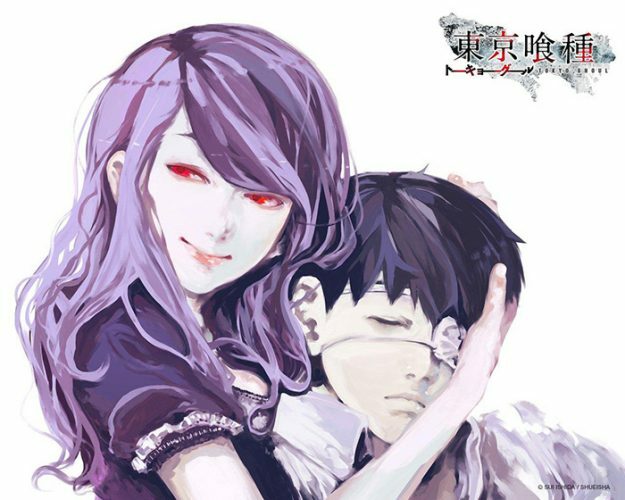 In this dangerous world, 18-year-old Kaneki Ken is a normal university student who had his entire world turned upside-down when his date with a woman with the same taste in literature as he turns out to be one of the Ghouls humanity so fears. Luckily for him, soon after she injures him at a nearby construction site, steel beams fall from above, crushing his date turned assailant to death. He awoke in hospital, an organ transplant happening to be the only course of action the doctors could take in order to save his life. Only one problem; however: his new organs have turned him into a Ghoul, the very same entity which nearly ended his life. 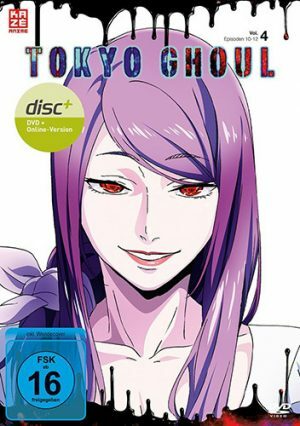 Next on our list is the very woman who started it all, Kaneki’s date on the day when his life was changed forever, Kamishiro Rize. Known in several wards in Tokyo as “the Binge Eater”, Rize has a voracious appetite, even for a Ghoul. Her appetite brings her much contempt from other Ghouls in the wards in which she resides, due to the large amount of attention heavy consumption brings from humans. This being said, her influence and the damage she causes is widespread, due to her nomadic nature. Rize is very strong, even among Ghouls, sporting a very powerful Rinkaku kagune, capable of summoning six claw-like tentacles which she uses to skewer enemies and prey alike. Rize also features above-average regeneration abilities, making it very difficult to defeat her. All in all, Rize is a sadistic killer whose boredom has created a very prominent Ghoul. Such is the result of blind dates. 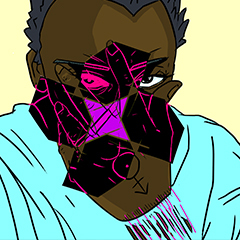 The Diclonius are a special breed of human capable of advanced telekinesis made possible with mysterious invisible appendages known as “vectors”. 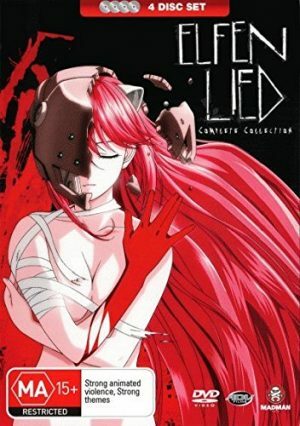 Lucy is a diclonius who escapes from a scientific facility which had been conducting an array of torturous experiments on her. During her escape, she endures a serious head injury which knocks her unconscious. 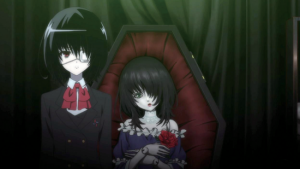 She is discovered by two college students, Kouta and his cousin Yuka; however, due to her head injury, her personality has been split into two: her dangerous and murderous personality taking a backseat to a docile and helpless one, causing Kouta and Yuka to take pity on her and allow her to stay with them, not knowing what they brought into their home. Lucy is sometimes referred to as “the Queen”, due to her ability to reproduce and create more diclonius through the spreading of a virus which is distributed when she uses her vectors. Lucy’s ability to use her vectors is second to none and she can use them with deadly accuracy. Given her extensive killing history, Lucy is capable of killing without feeling a shred of remorse. At times, Lucy gives in to intense murderous urges she believes are “the voice of her DNA”. Her vectors allow her to dismember anyone in her path and she does so without warning. Her kill count is immeasurable and due to her instability and very difficult childhood, Lucy can sometimes exhibit sadistic tendencies. It is very difficult to injure, let alone fight on level terms with Lucy and it goes without saying that she is one of the deadliest anime characters. Always lookout for horns. Long ago, mankind was driven to the brink of extinction by large humanoid predators known as Titans. As a countermeasure against the titans, humanity built a concentric circle of large walls and lived in relative peace for the next 100 years. However, one day, a 50-meter tall titan appeared and tore a hole in the wall, allowing the other titans which hadn’t attacked in over 100 years to enter the outermost human settlement of Shiganshina, the protagonist, Eren Jaeger’s home. 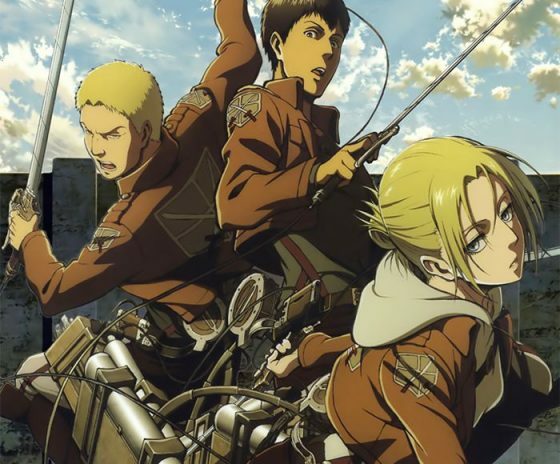 After seeing his mother die at the hands of the titans, Eren vows to join the military and kill all the titans, vowing to place his life on the line in order to help in humanity’s fight for survival. As it turns out, humans capable of transforming into titans exist and they are known as the Titan Shifters. 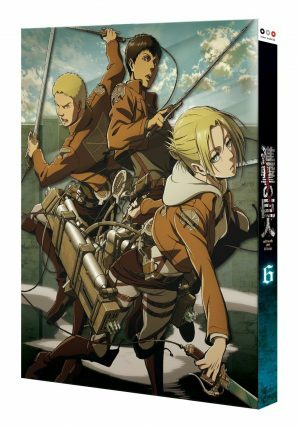 Annie Leonhart, the enigmatic blonde from the same military graduating class as Eren, turns out to be a Titan Shifter herself. To make things worse, even in her regular state, Annie is a force to be reckoned with. A very skilled fighter with strength to boot, that quality is also reflected in her titan form. Her intelligence seems to shine through when she is in her titan form, a frightening trait when one considers that Annie is capable of moving with a specific purpose even in titan form as she is able to recall certain significant bits of information, which has on a few occasions, allowed Annie to shield herself from attacks on the nape of her neck. 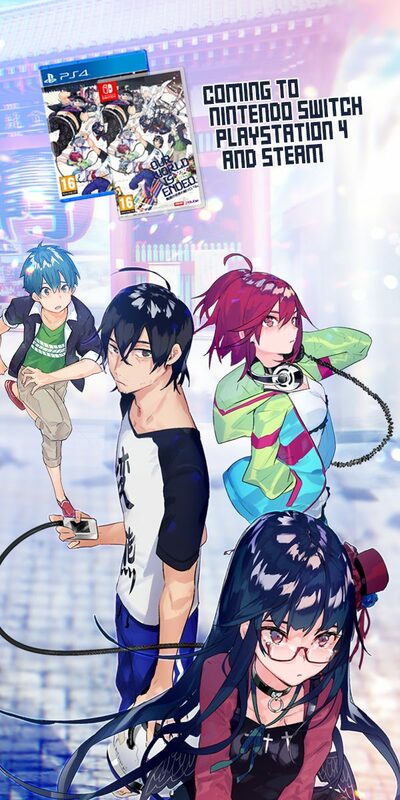 Amano Yukiteru is a high school student who spends most of his time alone, keeping track of events which happen around him in a diary on his cell phone, or sometimes spending time with his imaginary friend, Deus Ex Machina, the God of Time. Deus Ex Machina grants Yukiteru a “Random Diary”, allowing Yukiteru to see information on events occurring around him. Deus Ex Machina turns out to be real and is searching for a successor. 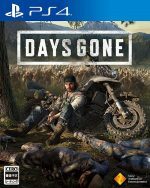 The successor will be chosen through an 11-way death match with other diary users. 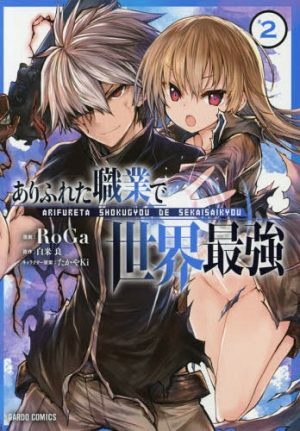 Will Yukiteru come out on top and become the God of Time? Gasai Yuno is the unstable and psychotic girlfriend of the protagonist, Amano Yukiteru. Her insanity is a result of the abuse she suffered at the hands of her mother. Despite her somewhat unstable personality, Yuno does not enjoy killing and opts to do it out of what she deems necessity. 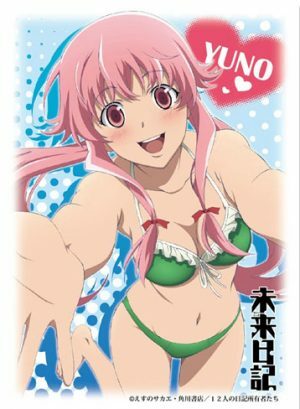 However, her obsession over Yukiteru is the driving force behind her most brutal moments, as Yuno feels incredibly insecure about her relationship with him, meaning that if it has anything to do with Yukiteru, Yuno can become a killing machine. Yuno is the Yandere Queen and her psycho-girlfriend personality is the type nightmares are made of. Kyon, a normal high school student who once had an interest in all things supernatural, meets Suzumiya Haruhi, a girl intrigued in all oddities. When she comments on the lack of interesting clubs in their school, he inspires her to form her own club – the SOS Brigade is born, with the goal of finding supernatural occurrences, time-travelers, aliens and other oddities. 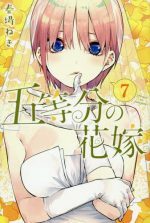 Now forced to become members of her club, he, Asahina Mikuru, Nagato Yuki and Itsuki Koizumi experience very wacky adventures due to the leadership of their eccentric Club President. 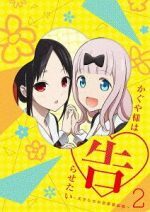 What exactly makes a high school girl the most dangerous female anime character? 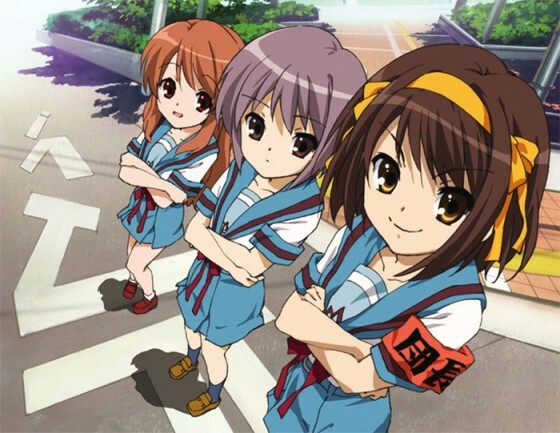 Unbeknownst to her, Haruhi is actually a deity who reigns supreme and the members of the SOS Brigade are there to observe Haruhi and keep her happy in order to avoid large-scale changes to the world. Being a god makes Haruhi the most powerful character on this list – she governs the laws of physics, although she doesn’t know it and it is this ignorance of hers that makes her truly terrifying. 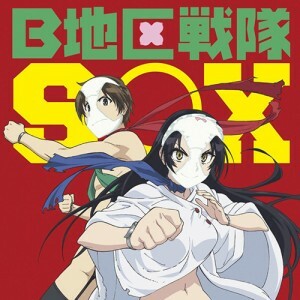 As eccentric and wacky as she is, the SOS Brigade have their work cut out for them trying to prevent Haruhi from falling into a foul mood, which could cause her to make highly undesirable changes. 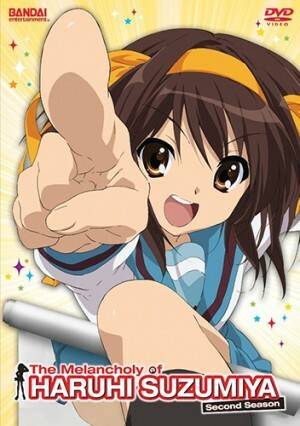 Haruhi is literally almighty and due to the high possibility that she could do any number of things to the world in a fit of rage, she is our most dangerous female anime girl. Characters can have a plethora of abilities and powers which allow them to make significant changes to the world around them and it is this trait which gives them potential to become dangerous. The above ten are some of the most destructive female characters and we’d definitely avoid any confrontation with the above ten. If you feel that we’ve left some of your favourite dangerous girls out of the list, drop a comment about them in the comments section below, if you’re brave enough and perhaps they could make an appearance on a list like this one in the future… that’s if, these characters don’t do some damage first.